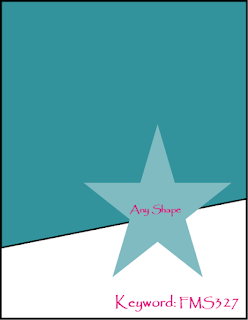 As you can see, I switched the direction of the diagonal cut (does this make me 'diagonally challenged?') but otherwise all the elements of the sketch are the same. I used My Favorite Things' Happy Hippos with two MFT background stamps - Bundles of Blossoms and Wood Plank so I'm going to pop this one over to their colour challenge which finishes in a few hours. The team at FMS have some stunning cards to show you as always - hope you get the time to join in! I am so excited to have you along with our crazy little bunch of enablers this month! Love your little hippo and your adorable card! Such fun! Well I would love to have this cutie show up at my birthday party! Adorable card! And I am so glad you have shown up at Freshly Made Sketches! Welcome to our party! Congrats on guesting Claire!! Your card is as cute as it can be!! This is such a great card Claire! I love that sweet little hippo! So cute! Your colouring is amazing! We're so glad you've joined our crazy little gang at FMS!!! Congrats on your guest designing spot Claire! So well deserved! Your card is so cute! That hippo is darling! So glad that you've GD'ing with us at FMS! Your card is just gorgeous! 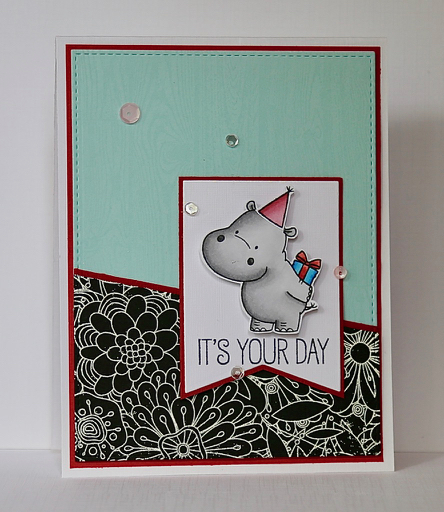 I love the colours you've used and that hippo image is just the sweetest and perfectly coloured too!